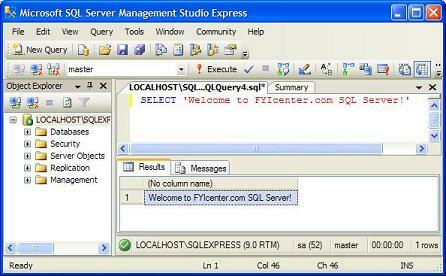 How to run Queries with SQL Server Management Studio Express in SQL Server? 1. Launch and connect SQL Server Management Studio Express to the local SQL Server 2005 Express. Welcome to FYIcenter.com SQL Server!